Lance Armstrong's recent admission to using performance-enhancing drugs during the height of his cycling career is upsetting some fans more than others. WASHINGTON – Lance Armstrong’s recent admission to using performance-enhancing drugs during the height of his cycling career is upsetting some fans more than others. In reaction to the news, Stephen Brown – a cancer survivor, triathlete, coach, writer and speaker from the Philadelphia area – wrote an emotional letter to Armstrong on his website. 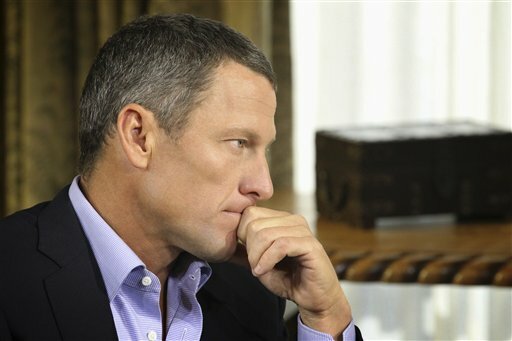 In an interview with WTOP, Brown said he does not forgive Armstrong for using the performance-enhancing drugs, but does understand why he felt the need for them. “I understand his need to feel like he needed to be on a level playing field with some of his competitors. I get that on some level,” Brown told WTOP on Friday. However, Brown says what angers him the most is that Armstrong denied using performance-enhancing drugs on the basis of surviving cancer. Even after Armstrong’s confession, which aired Thursday with Oprah Winfrey, Brown does not think the public will abandon Livestrong, the cancer charity Armstrong founded in 1997.